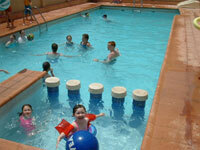 The sunshine in Torrevieja is one of its greatest assets. The climate in Torrevieja is fantastic, with 320 days of sunshine each year, and a lowest average temperature in Winter of 17 degrees celsius. 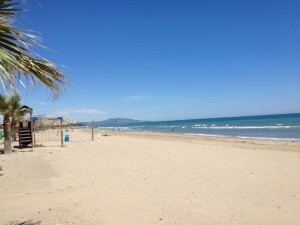 “The World Health Organisation” recommend Torrevieja as having one the most healthy climates in the world. This is due to what the experts call a “micro-climate” unique to this area and just a few others around the world. all sorts of wildlife such as Flamingos, but also they have the affect of drying the air through releasing salt deposits into the atmosphere. This has the added benefit of making the air very healthy, in particular for anyone unfortunate enough to suffer with health problems related to joints such as arthritis. Some of the locals even bathe in the lakes or bask in the natural mud baths around its edges and this is said to he very good for your skin, joints and general well being. Living in Spain really can be very good for your health because of the superb climate, particularly when combined with the local diet of fish, salads, beautiful fruits, and of course even the local wine is good for you! !